This week’s contributing blogger, Dylan Lorenz, is a recent graduate from the NYU MIAP (Moving Image Archiving and Preservation) program. He has interned at the AFS Archives, NYU Fales Library, Cineric, Inc., as well as with the Simon Preston Gallery. His graduate thesis focused on creating a conservation plan for Amie Siegel’s 2015 multi-component, time-based media installation, Double Negative. The fifth session of the symposium program, “Shaping a New Discipline – Advocacy, Implementation, Collaboration,” began with Alison Gilchrest, Program Officer for Arts and Cultural Heritage at the Andrew W. Mellon Foundation. Throughout her talk, Gilchrest emphasized the “power in the articulation” of mission statements and strategic plans. Many of the slides she presented were excerpts of the Mellon Foundation’s mission statement, which she informed the audience was only developed in 2014. She emphasized that the Mellon Foundation seeks to “support new thinking and new models” and encouraged institutional applicants to not just consider this as part of their application process, but also in their professional approaches and when thinking of strategic plans and mission statements. In conclusion, she encouraged everyone to “find the power in your own articulation” as to why supporting and defending cultural contributions matters. The speakers for the rest of the section were all representatives of encyclopedic art museums that have recently embarked on time-based media conservation initiatives. First up were two representatives from The Art Institute of Chicago: Francesca Casadio, the Andrew W. Mellon Senior Conservation Scientist, and Hendrik Folkerst, the Dittmer Curator of Modern and Contemporary Art. Folkerst began with a history of time-based media acquisitions at the Art Institute of Chicago, which started with a George Segal work titled The Truck from 1966. Folkerst highlighted acquisitions of video performance art documentation in 1973 to the fifty exhibitions that have been held since then at The Donna & Howard Stone Film, Video & New Media Gallery in the museum. Casadio built on Folkerst’s history of the time-based media collection by summarizing the efforts for its conservation to date at the Art Institute. A Film, Video, and New Media task force was created in 2011, but it did not have museum leadership support. The museum recently established a time-based media fellowship position, which was filled by NYU MIAP graduate and former Digitization Specialist at the Video Data Bank, Kristin MacDonough. Casadio highlighted the acquisition, documentation and conservation process behind Gretchen Bender’s eight-channel video installation Total Recall, 1987 as a case study for the museum’s new time-based media initiative. She also made note of a Mellon funded annual regional meeting of Midwest museums hosted by the Art Institute at the end of June, 2018. The annual regional meeting at the Art Institute seems like an excellent example of what Alison Gilchrest had cited as Mellon’s support of “new thinking and new models.” The meeting could help establish a network of Midwest art museums focused on time-based media conservation and provide a wider venue for sharing information. 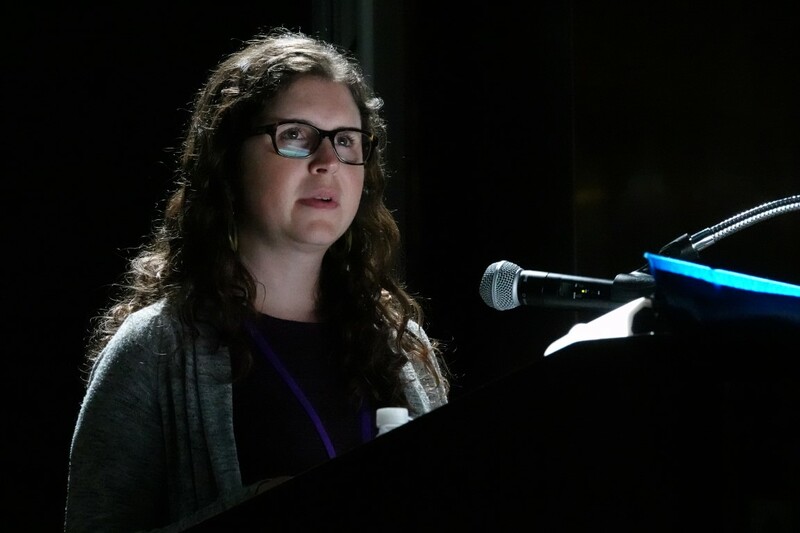 The third presenter of the section was Nora Kennedy, the Sherman Fairchild Conservator in Charge of Photograph Conservation at The Metropolitan Museum of Art. Kennedy presented the history of the Photograph Conservation department at the Met as a model for time-based media conservation. Kennedy was made the first photograph conservator in 1990 following advocacy from the paper conservator who dealt with photographs at the time. The photograph conservation lab was created in 2002, with research fellowships established in 2007. After an initial 2003 survey of the time-based media collection and collaborations with NYU professors and students, the Time-Based Media Working Group was fully operational in 2012. Progress has continued since the working group was formed, with the establishment of a time-based media fellowship position in 2017, and as Kennedy said “most importantly, space” available for a time-based media lab. Kennedy demonstrated that while the understanding of the need for conservation of a collection is largely defined by institutional structures within a museum, concrete steps for establishing the space and the staff will occur only when awareness and action manifest across departments and through engagement with universities, such as NYU. The final presenter of the panel was Kate Moomaw, Associate Conservator of Modern and Contemporary Art from the Denver Art Museum. Her presentation was co-authored by her colleagues: Eddy Colloton, Assistant Conservator of Electronic Media and Sarah E. Melching, Silber Director of Conservation at the museum. Moomaw explained the museum has 500 electronic media artworks across six different departments from video to software-based artworks in its collection. The first time-based media work acquired was a 1985 single-channel artwork by Denver-based media artist Gary Emrich. 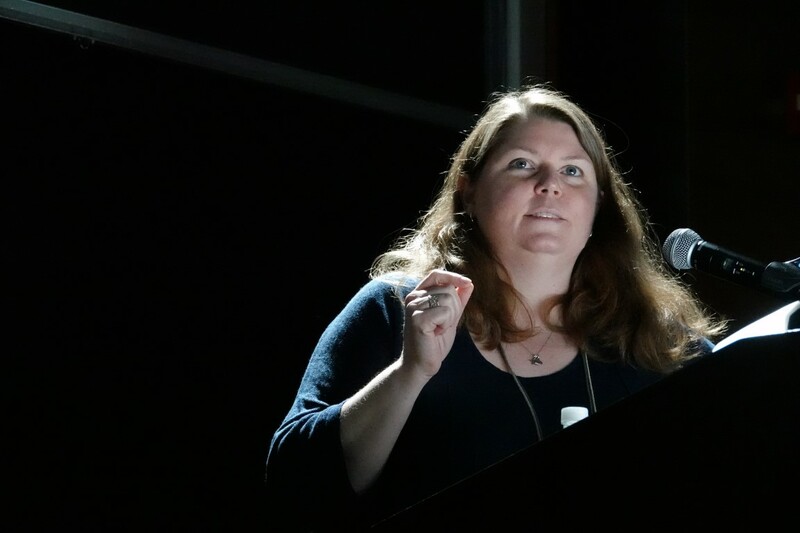 She presented how the history of time-based media conservation at the Denver Art Museum evolved from an interdepartmental Variable Media Working Group begun in 2006, a 2011 exhibition on media artwork entitled “Blink!”, and Melching’s attendance to AIC’s Tech Focus I. All these steps contibuted to aiding in the developing guidelines, roles, and responsibilities at the museum. Colloton has worked as a media conservator in a temporary, full-time, IMLS grant funded position focused on ingesting all audio and video objects into a digital repository using Archivematica since 2016. Past the end of that grant, further work will be done to look at hardware dependent works, such as Nam Jun Paik’s Lady Secretary, 1991 and software-based works such as Charles Sandison’s video installation Chamber, 2009. This session gave multiple examples of how understanding the attention needed for an institution’s time-based media collection, coupled with an effective articulation of that need, can result in the implementation of concrete steps towards the conservation of that collection. Alison Gilchrest stressed the “power in the articulation” for defining both the mission of a museum and the need for support. Each representative of their museum demonstrated how their time-based media conservation needs are being met through both internal and external support.